Abu Dhabi Pre-Clearance for US Immigration and Customs Experience | Happenings, Marketing and Technology Advice and Thoughts! Hope this is helpful to all who transit through Abu Dhabi to the United States. 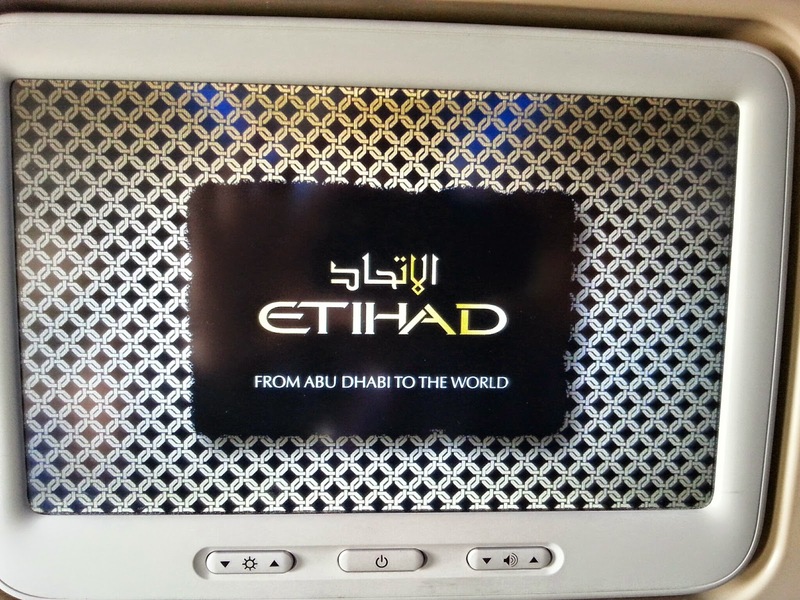 I flew EY 275 to Abu Dhabi yesterday from Hyderabad India. Our flight was delayed by 30 minutes from Hyderabad and due to Fog over abu Dhabi we circled the Abu Dhabi Airport for over an hour and landed. Once we landed we were taken by bus to Termnal 3. We originally had 4.5 hours to transit and due to the weather and circling this was reduced to 3,5 hours. Our niece who traveled with us was going to New York and her transit was reduced to 2.5 hours from 3,5 hours. My recommendations is that you need at least 2 hours to transit. Between the wait for the bus and walk to Terminal 3 it will take at least an hour. If you have more than 3 hours I would recommend stopping at a food court to eat before you go to the gates 59-61 where US preclearence is done. At the US preclearence gates there is only a small coffee shop. Due to the weather delays on the day we landed in Abu Dhabi they were rushing passengers to Chicago and New York and told us passengers toWashington DC to say in a holding gate to prevent the Pre Clearance area from being too crowded. To enter the pre clearance area you will have to show your travel documents at least twice and then enter a security zone. This security cone is manned by UAE personnel and even though it sounds like it, their intention is not be rude but try to hurry you. HEre you have to remove shoes, belts etc like at any US airport and additionally also take out electronics like iPad, cameras etc. It was quick and there were several people controlling the lines. Once you are through security you enter the US Immigration line. This is just like the Immigration counter at any US airport. Depending on the time and the lines, they may send you to a self serve Automatic Passport control if you have a U.S. and Canadian passport and international visitors from Visa Waiver Program countries. The APC lets you answer questions instead of a paper custom form and takes your picture and gives you receipts for all family members. . Once you are done a self serve immigration officer looks at your receipts and boarding cards and then shoes you your luggage photographs. If your luggage does not arrive you will be asked to wait till they transfer the luggage. After this you go back to the gate and wait. Boarding process is orderly and when you arrive in the US you do not have to claim baggage if you are traveling to the another destination. in Washington we went through the gates like a domestic flight. You hear rumblings about the Pre-Clearance at bu Dhabi but the biggest advantage is that all passengers traveling to the US have a convenient way to go through US Customs and Immigration and not have to lug their luggage at their post of entry into the US. I think there is a disadvantage for First and Business class passengers which I hope Etihad will fix. Economy passengers should rejoice at flying Eithad to the US.